I've always enjoyed English as a subject, and wanted to be a professional writer from a young age. Initially, that led to a conventional job in marketing, but when that career came to an abrupt end, I decided to try my hand at freelance feature writing for magazines. Although it's unpredictable at times, for me, it beats working in an organisation any day. I first started writing seriously when I was 16. I hoped to become a novelist. I was up until 4am regularly penning my first novel, which ran out of steam, died a death, and sat in a drawer for 20 years. A few years ago, I took another look at it, threw out huge chunks, rewrote large chunks, and now have a working draft, that needs some tweaking, before I try to find a publisher. I had a bit of practise writing for magazines as part of a correspondence course when I was 19, but the course wasn't much good, and I was totally uninspired by every single assignment. After two years trying, I finally had one piece published, but by that time I'd nearly given up, and shortly afterwards, I did give up. I decided to have another go when I faced redundancy in 2011. With a lot of hard work and determination, it turned out OK. I just kept pitching and pitching and pitching, until I got assignments. Eventually it paid off. What subject(s) do you write about, and why? I write whatever I can sell, so I currently do a lot on nutrition and travel. I'm a qualified nutritionist and passionate about the subject, so it's an interesting topic for me, and the editors appreciate my expertise. I used to write a lot on nostalgia, but I don't so much these days. One of my regular clients scrapped their monthly column on war memories so I lost that job. The other is just overloaded with material from hundreds of contributors. I used to do a lot on the paranormal too, and I still do some of that. I get up at about 7.30am usually, and I'm working by 8am. I check social media first - it's both a blessing and a curse. It can be a big distraction, time consuming and wasteful. But it's also a good source of ideas for articles, and interview contacts, so I try to manage my time on social media so that it benefits my writing, rather than distracts from it. Sometimes I succeed. Sometimes I fail. Determination. Perseverence. A commitment to editing over and over, until a piece makes an interesting read and flows well. Good spelling and grammar. Mostly it's the sheer determination to keep going in an industry where you're constantly ignored and rejected. If you can't pick yourself up after a rejection, and just keep knocking on doors, you're doomed to fail. At the start I went for weeks sending out emails without getting a single positive reply, but it all paid off in the end. Once you've made a few contacts and have a few editors who like you, it gets easier. Every day life, although holidays are particularly good sources for travel articles. News stories sometimes provide hooks for nutrition articles. Twitter has been a good source of interviewees on a wide range of topics. I've recently started doing FutureLearn courses online. I've sold one article about that already and have another in the pipeline, with an idea for a third. I've self-published a few books through Createspace, and wrote an article about that recently too. It depends on the topic, the brief, the amount of research required, etc. Most of the time, I have to pitch an outline to get the work. When that's not the case, the editor usually sends me an outline of what he wants, so I have an outline of sorts. An interview piece might come together quite quickly if it's flowing well, although sometimes interviews need a lot of editing and restructuring. A research piece however, can have me pouring over scientific papers for hours, so it varies enormously. Pagan Journeys, a short book available on Amazon, is a collection of articles on pagan living and related topics. 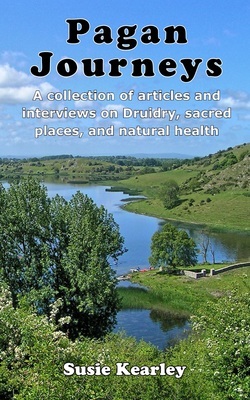 They include interviews with Druids, as well as first-hand accounts of pagan festivals and sacred locations. There are chapters on Druid gardening, healing, crystals, and meditation. Part 1 is a series of interviews with three Druids, a clairvoyant who runs a crystal healing shop, and my own experience of a Druid solstice ceremony. Part 2 looks at ancient sacred places across the UK, including stone circles, prehistoric burial grounds, and special places. It includes: Wiltshire's Stone Circles and Burial Mounds, Summer Solstice Festivals, The Secrets of Grimes Graves, Glastonbury, Whiteleaf Cross, the Ring of Brodgor, Castlerigg, the Rollright Stones, and Lough Gurr. Part 3 focuses on natural healing. It looks at the evidence for natural approaches to healthcare including healthy eating, meditation, and relaxation, as well as how a raw vegan lifestyle could have extra clout when it comes to healing. I don't like corporate culture. I don't like being told what to do or how to do it. I dislike corporate politics, people interfering with my work, people nagging, bosses interfering with my process, time-wasting meetings, or other stresses of the workplace. As a freelancer, I escape from all this nonsense so I can just focus on my work. That suits me. Future projects in the pipeline? I have a funny book on guinea pigs in the pipeline, and my novel. I'd like to have both finished this year. The novel's an apocalyptic thriller. My goal was to make a living writing so that I didn't have to go to work any more. I have achieved it already. I discipline myself to work between 8am and 5pm minimum every day, and sometimes I do more at weekends, or evenings. I still constantly seek new clients, and I never take my success for granted. You can't sit around waiting for replies from editors, many of whom never reply, when you need to earn a living. Having said that, once you start to make contacts with responsive editors, it is courteous to give your favourite editor first refusal, and wait a while, before offering an idea elsewhere. This is a collection on pagan living and related topics. They include interviews with Druids, as well as first-hand accounts of pagan festivals and sacred locations. There are chapters on Druid gardening, healing, crystals, and meditation. IIn 2011 Susie Kearley quit a 15-year marketing career to start up as a freelance writer in the middle of a recession. In this book, she shares how, in under two years, she went from being an aspirational rookie, to working for some of the biggest names in publishing. ​Susie provides humorous accounts of the obstacles she faced, as well as tips on how to write a winning pitch, how to market yourself as a writer, and how to avoid legal issues. She provides anecdotes and personal insights that many freelance writers will relate to, on topics from getting paid, to quashing the myths of freelance writing. This book is a valuable resource for anyone wanting to be a successful freelance writer in the health, food, and gardening markets. 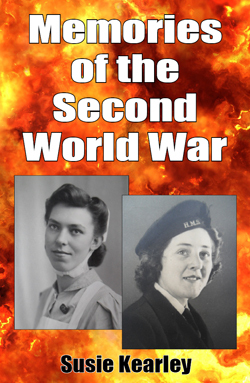 This book is a collection of interviews with people who remember the Second World War. None of them were on the front line, but some were serving their country as Naval Wrens, one was a Royal Air Force Bomber Command Cartographer, and one was posted at Bletchley Park, involved in the code breaking activities there. These stories, or a variation on the themes, have been printed in a variety of publications including Military History Monthly, Lincolnshire Life, Best of British, Chat, Chicken Soup for the Soul and some other titles in a range of formats and perspectives. 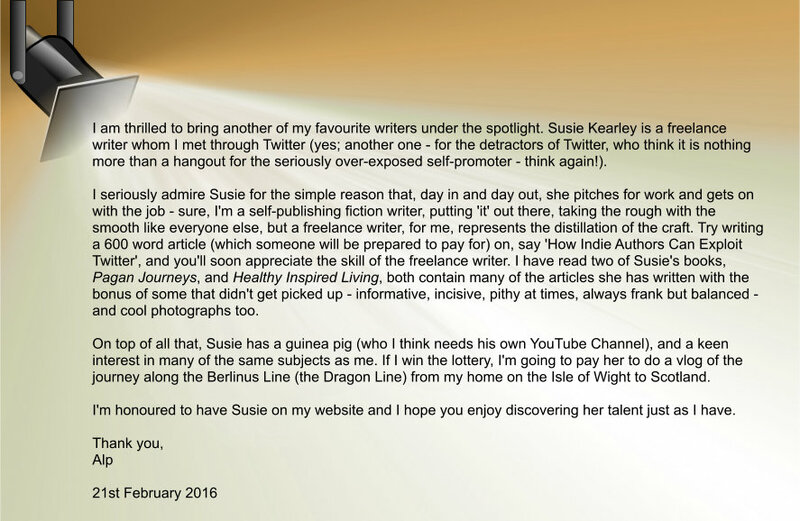 In 2011 Susie Kearley quit a career in marketing to follow her lifelong dream of becoming a full-time freelance writer. She had no contacts, no real experience in the publishing industry, and no idea whether she would succeed. Yet through sheer tenacity, determination and hard work, she built a solid career as a freelance writer, in the middle of a global economic recession. Today, she works for some well-known publications and earns a living from her writing. In this book, Susie discusses her approaches to getting published and answers many of the burning questions asked of any freelance writer. This book is written for those writers who've seen modest successes in publishing, to help them take their writing to the next level. 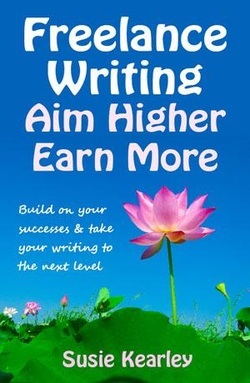 It will help anyone looking for new inspiration and insight, who wants to earn more from their writing. 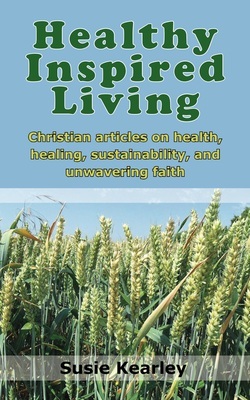 If you believe God intended us to live sustainably, respecting the earth, eating healthy wholefoods, and enjoying good health, then you might enjoy this book. It addresses how far we've moved away from the ideal of healthy living, and what we can do about it. It's loaded with ideas for healthy, sustainable living. 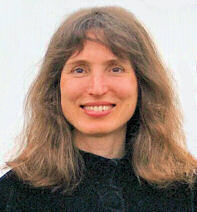 Susie is a health writer and qualified nutritionist. 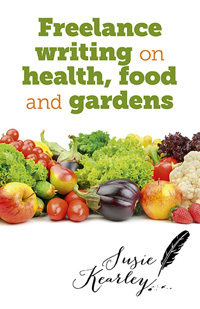 There is a considerable focus on natural health and wellbeing in this book. The last part looks at managing specific health challenges with better nutrition. Topics include: allergies, high cholesterol, detoxification, healthy bones, reducing cancer risk, eating for healthy eyes, hormonal health, brain food, joint health, digestion, boosting your immune system.